Brazos Valley Volkswagen near Waco, Texas is the one stop shop for all your service needs. From an online prepaid service menu to a free shuttle service we have what you need. For a truly personalized experience you can subscribe to our maintenance schedule based off your Volkswagens year, make, and model. We are proud to be Brazos Valley Volkswagen, and to serve the good people of Waco, Texas! When it comes to your car buying needs Brazos Valley Volkswagen knows you have a choice. This is why we are committed to providing the people of Waco, Texas with money saving opportunities. Whether you are buying or leasing new, used, or certified pre-owned our promotions are constantly changing! At Brazos Valley Volkswagen we don’t want our customers to settle. We want you to drive away in the car of your dreams at a price you can afford! 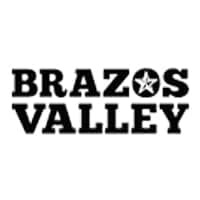 Shop Brazos Valley Volkswagen near Waco, Texas! Are you looking for a new car? Check out the new Jetta and Passat. Maybe you are looking for something certified pre-owned? On a budget, check out how much you can save buy trading in your current car. Whatever you are looking for we have it at a price you will love! Don’t waste any more time, come see us at 3100 Briarcrest Dr Bryan, TX 77802. You will be glad you did.